The Report on Jobs is a monthly publication produced by IHS Markit. 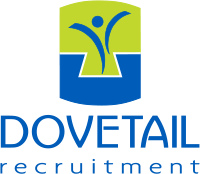 Offering the most up-to-date monthly picture of recruitment, employment, staff availability and employee earnings trends available in the UK. We’ve summarised the latest findings from the report for you below. 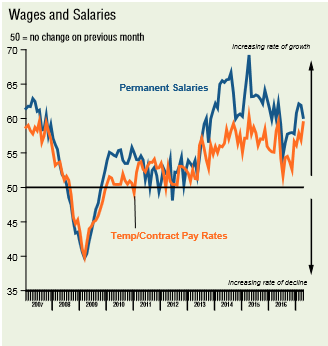 UK: Permanent placements increase at softer pace in April. The number of people placed into permanent job roles continued to rise in April. Though solid overall, the rate of expansion weakened for the second month in a row and was the slowest seen since last September. 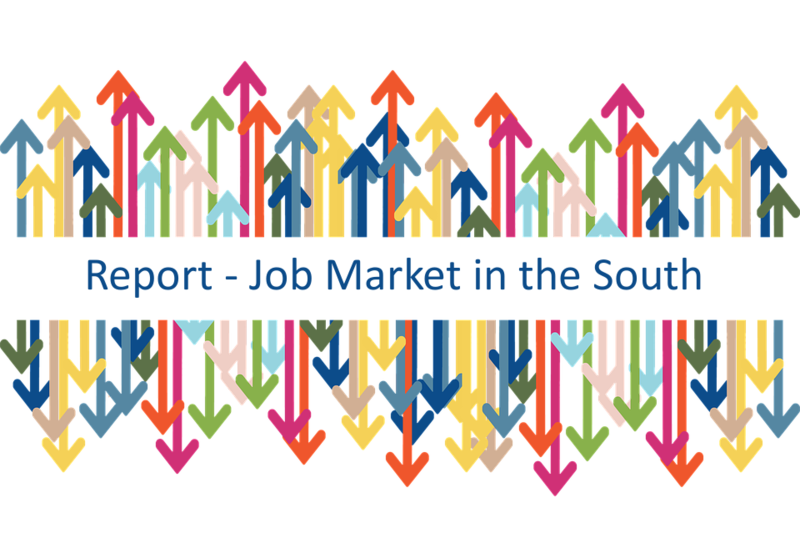 South: The number of people placed in permanent jobs in the South of England increased for the ninth month running in April. That said, the rate of growth weakened to the slowest since last September. Nonetheless, the rate of expansion was broadly in line with the UK average. 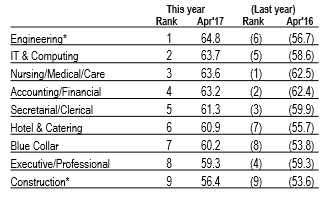 Engineering was the most in-demand category for permanent staff in April across the UK, including the South. UK: The availability of candidates for permanent roles declined at the quickest pace in 16 months during April. Furthermore, around 38% of recruitment agencies reported lower candidate numbers, compared to 8% that noted an improvement. All monitored regions registered marked drops in permanent candidate availability at the start of Q2, with the South of England noting the fastest rate of reduction. UK: Starting salaries for successful permanent candidates continued to rise in April. Although the rate of inflation weakened to its slowest in 2017 so far, it remained sharp overall and stronger than the series average. According to agencies, strong demand for staff and competition for skilled candidates were key factors driving salaries higher. 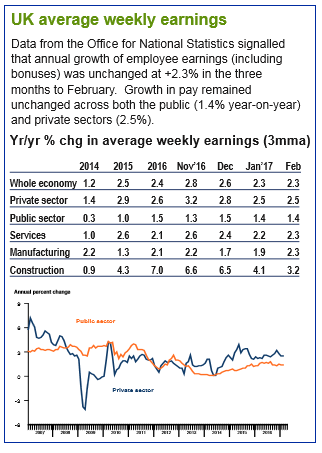 Salaries rose markedly across all monitored regions in April, with the strongest rate of pay inflation seen in the South of England. 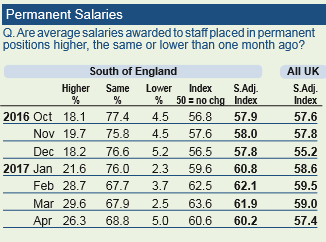 SOUTH: The rate of salary inflation for newly-placed permanent staff eased for the second successive month in the South of England, but remained sharp overall. Furthermore, the rate of increase was the strongest recorded of all five UK regions, continuing the trend that has been evident since the start of 2017. Marketing Salary Surveys- Is it time to make a change?